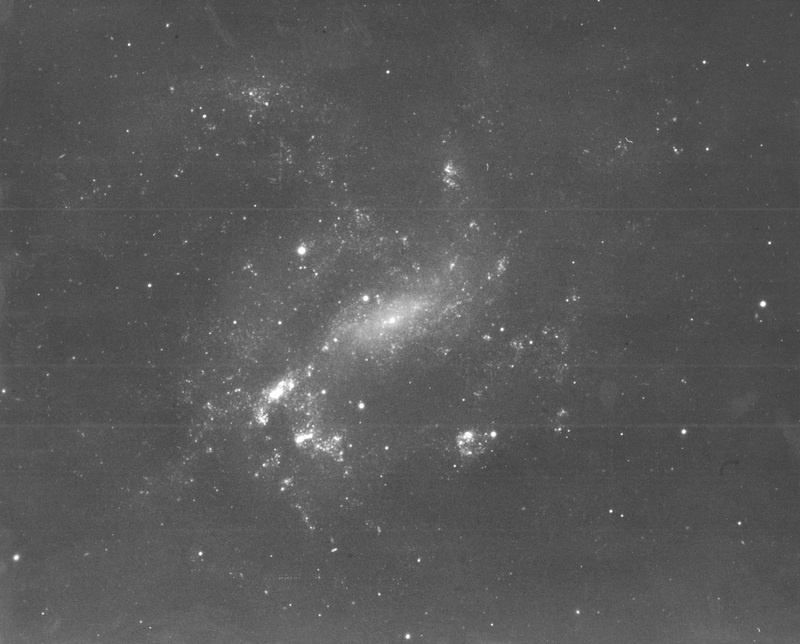 This photograph of the nearest Seyfert galaxy, NGC 4395, was taken with the Palomar 200-inch telescope. NGC 4395 is the least luminous and nearest Seyfert galaxy known, located eight million light-years away in the direction of the constellation Canes Venatici (The Hunting Dogs). A Seyfert galaxy is a class of nearby galaxy that has an extremely bright central region that often obscure the much dimmer stars in the surrounding disk. The nucleus gives off prodigious amounts of energy largely in the form of high-energy x-rays and gamma rays. Position (Dec): 33° 32' 47.28"